Although I have come to the conclusion that the heathen are going to hell, I believe this conclusion is open for disagreement. Federal agents spread out across the basement of the jail. Handcuffed between two sheriffs was a man who had shocked the nation. 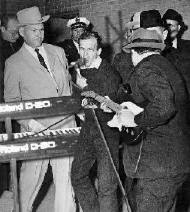 Lee Harvey Oswald had been accused of assassinating the President of the United States. A man in a dark suit suddenly pushed forward and stuck out his arm. 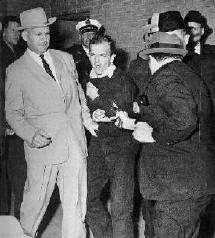 Oswald caught sight of Jack Ruby and jerked his hands up to protect himself. Ruby’s .38 revolver discharged and Oswald collapsed, his life’s story going down into infamy. There is no doubt who killed Lee Harvey Oswald. There were dozens of eyewitnesses, not to mention the 20 million Americans who saw it on television. This issue is not open for interpretation. The facts are cut and dried. As to who was involved in the assassination of John F. Kennedy, there is room for personal opinion. There is enough circumstantial evidence supporting the possibility of a conspiracy to make it unreasonable for anyone to say dogmatically that Oswald acted alone. Likewise, when we approach the subject of the heathen, we have to understand that the Bible is clear on some aspects concerning the heathen (those who have never heard the gospel). However, there are other areas that are open for interpretation. It is not our intent in this study to be dogmatic, or show that there is only one correct interpretation. Our intent is to point out the problems that arise with some of the views, and to show what "appears" to be most consistent with the Word of God. Through our study, Stevan Huntoon and I have come to the conclusion that the Bible teaches the heathen are going to hell (View 1), but you decide for yourself. On the following page is a list of the five views most often encountered in Christian circles.